I almost fell off my chair when I read Kathy’s email some time back. Their trip to Malaysia was going to a whirlwind one, as they only had a short break before flying back to Australia again. 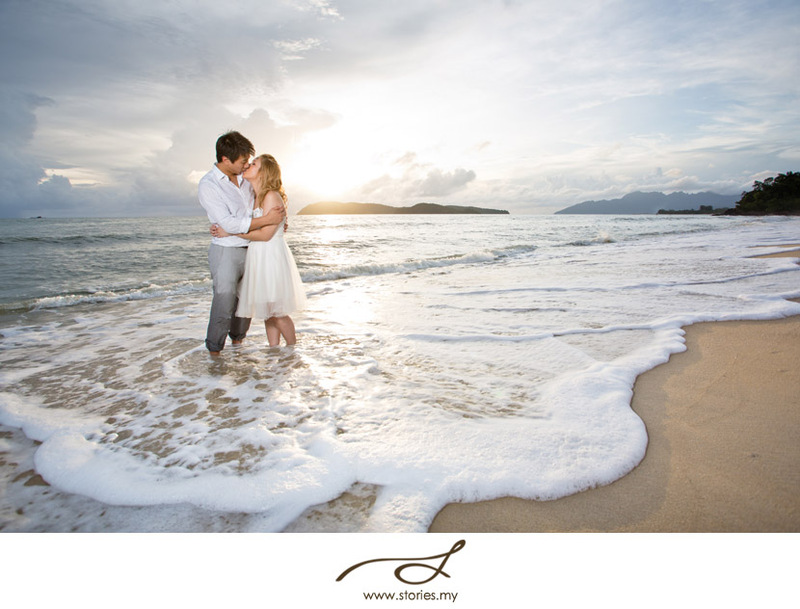 The main purpose was to attend a friend’s wedding, but of course, why not squeeze in time for a pre-wedding shoot? 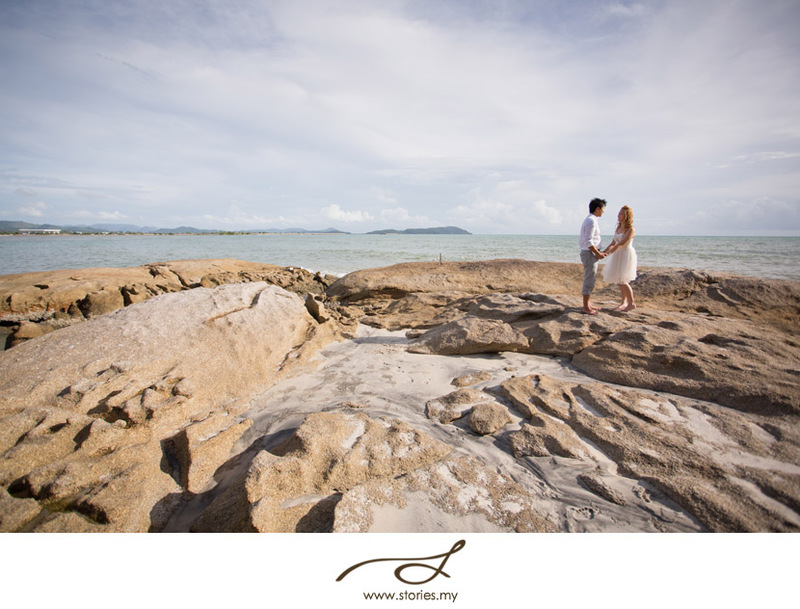 Best of all, why not fly in to Langkawi for a day trip, just for the shoot? I tried to convince her to spend at least 1 night in Langkawi (you won’t regret it!) but time really wasn’t on their side. So our shoot became a little adventure. They arrived in Langkawi by noon, did their make up & hair, had lunch, and by 3pm off we went! I prayed so hard for great weather because we only had that short window of opportunity to shoot. God smiled on us, and the weather was absolutely gorgeous. By the way, don’t you think Kathy’s short dress is just gorgeous!? I love how everything looks really simple and casual. She had also brought some props for the shoot, all the way from Australia! Ten years ago Samuel made a promise to me when we started dating, that if the relationship ever became serious, he would not be allowed to propose to me until 10 years of dating. Here we are, 10 years later, and not only has he fulfilled his promise, but has also given me 10 years of happiness and laughter. We are both ready to move onto the next stage of our relationship and continue to forge new memories as we continue our life journey together. As we traveled from one location to another, we stopped frequently for coconut juice, since Kathy’s been craving for it! I think we had about 2-3 stops for coconut juice that day! Yummy! We also dropped by Bon Ton / Temple Tree and took some photos on its grounds. Love love love the old buildings there. It was a hot day… we just kept on hydrating ourselves! The day ended perfectly. I think this last shot has got to be my favourite from the entire session. After the sun went down, Alex and I brought Sam & Kathy back to their hotel, and by 11pm, they were back in KL! Thank you, Sam and Kathy for a really fun time together. We truly had heaps of fun that day, and the weather was absolutely perfect! 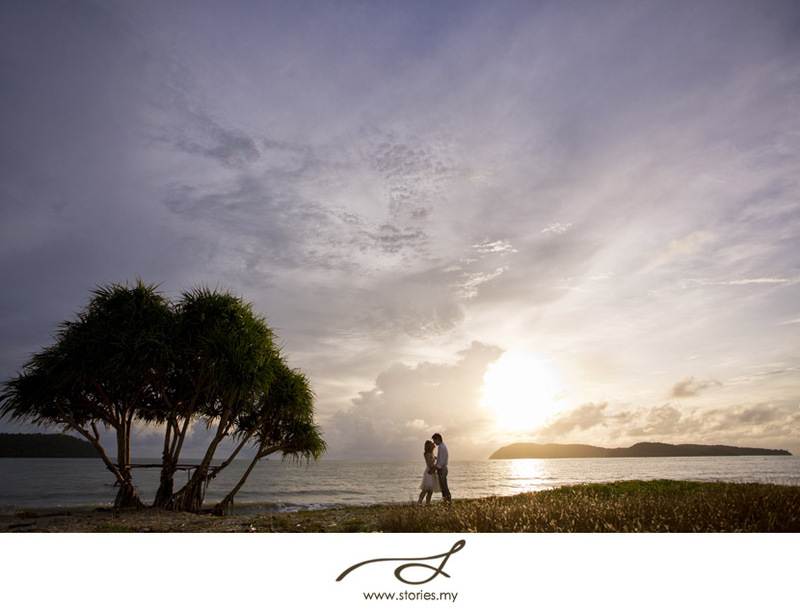 The next time you come to Malaysia, please remember to spend more days in Langkawi, just soaking up the sun! Hugs! No problems, Kathy! :) Loved your set of images! Belinda Tan check it out! Nice shots…..you look stunning and photogenic. Kathy, I love the short white gown!! It’s stunning! Did you get it from KL? @YeenLeng Hi YeenLeng, from what I understand, she bought it in Australia.